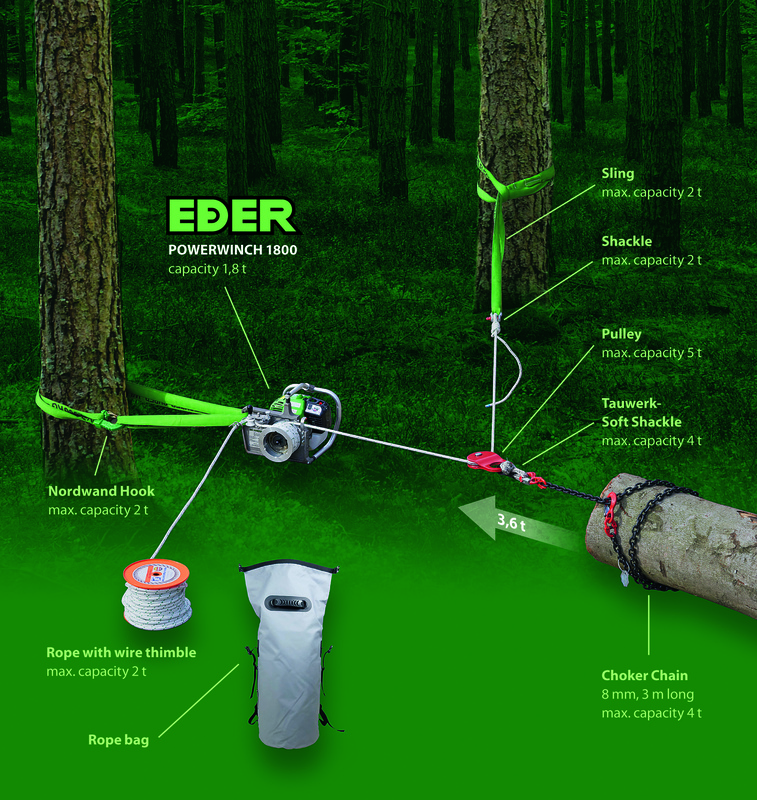 The EDER Powerwinch 1800 portable capstan winch is characterised by its incredible power. 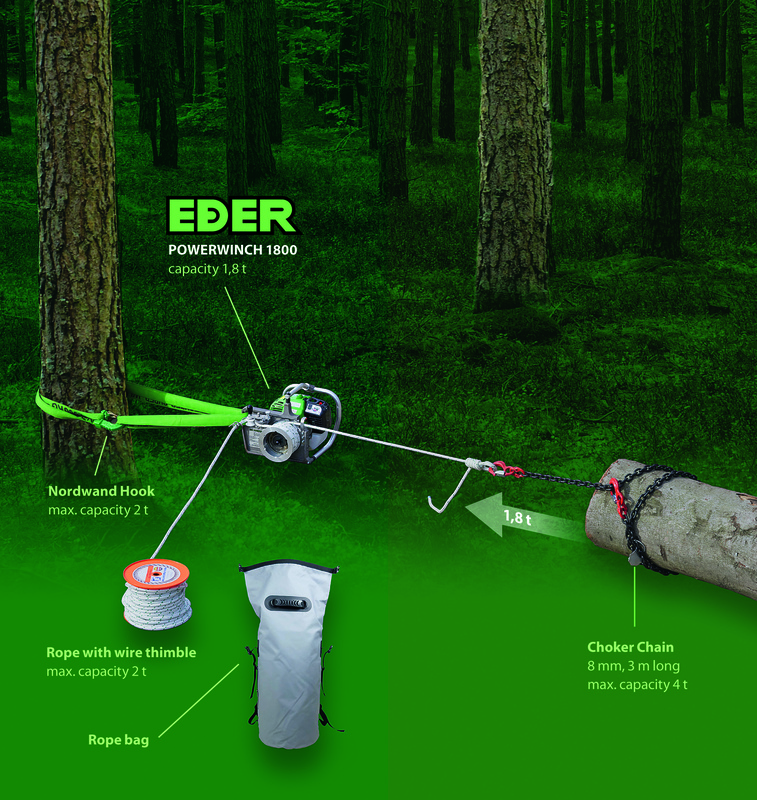 The EDER Powerwinch 1800 has a max rated capacity of 1800kg making it the most powerful portable capstan winch we sell. 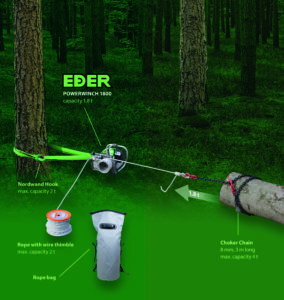 EDER Powerwinch 1800 and 50m x 13mm rope. Comes with 2 ton x 2.5 metre round sling and 2 ton bow shackle. 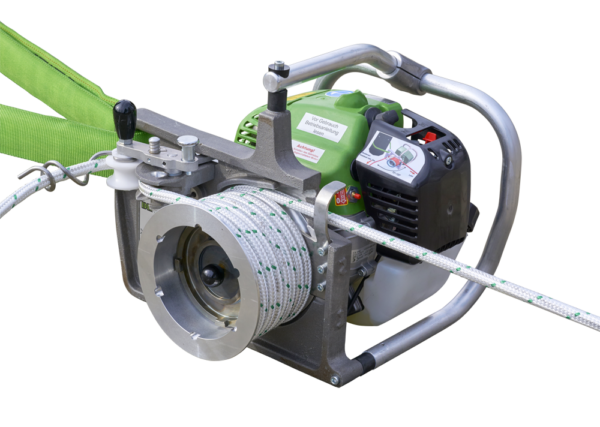 The EDER Powerwinch 1800 portable capstan winch is manufactured in Germany and is an incredible piece of precision engineering. 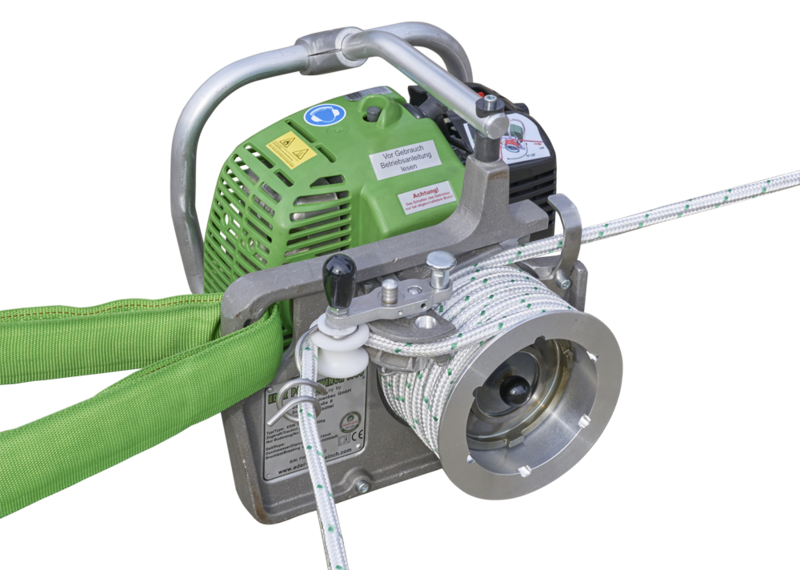 With a max rated capacity of 1800kg the EDER Powerwinch 1800 is the most powerful portable capstan winch on the UK market. In any given position, it is capable of pulling an object that is 125 times its own weight. EDER Powerwinch 1800 is powered by a 62cc 2 stroke engine. This means it can run in any position including at steep angles. 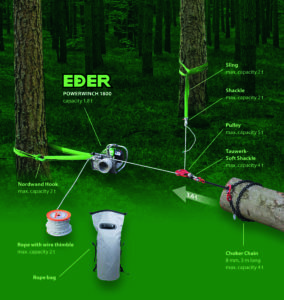 It uses the same 2-stroke mix as your chainsaw so you only carry one can of fuel into the woods. Centrifugal clutch – Capstan drum does not rotate at idle. 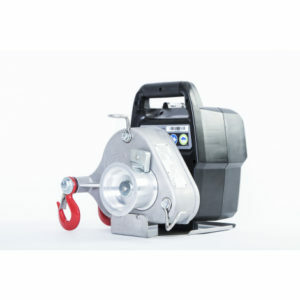 Automatic brake – stop pulling on the rope and the load is automatically held. Automatic throttle – As you pull on the rope the throttle is automatically engaged. Weight – weighs only 14kg.